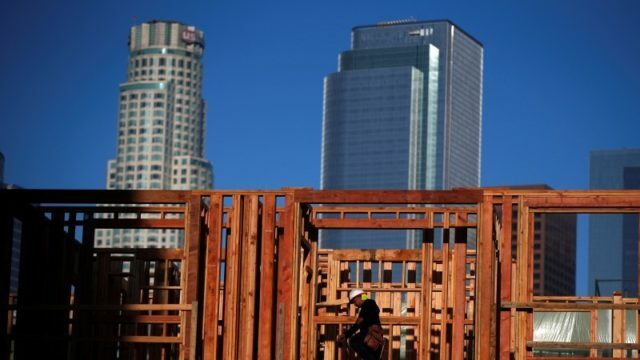 California commercial real estate continues its boom, but as U.S. economic growth slows there are signs of a topping out. That was the conclusion of a report released Wednesday by the UCLA Anderson Forecast, which surveys real estate industry leaders every two years. The latest survey in June “provides the first indication of a topping out in office and retail markets,” said Jerry Nickelsburg, adjunct professor of economics at the UCLA Anderson School of Management. For each of the six markets surveyed — San Francisco, the East Bay, Silicon Valley, Los Angeles, Orange County and San Diego — the trend in office developer sentiment since its peak in 2014 has declined. However, in the industrial and multi-family housing sectors, the optimism of the past few years continued through the the June survey period. “Unlike office space, there is no evidence of a slowdown in new multi-family development,” the report found. Multi-family developer optimism has remained strong and consistent over the previous four years, and the Anderson economists said industrial and warehouse markets “remain on fire.” They said international trade is driving this demand.